First Annual Holiday Cookie Swap Linky Party! I just had to link up with Emily at The Reading Tutor/ OG when I saw this Holiday Cookie Swap linky! What a great idea! It's a virtual holiday cookie exchange! I have fond memories of baking holiday cookies with my family when I was a child and I continued that tradition with my children. Most of our favorite cookies today are the ones I baked as a child. My parent both grew up in Wisconsin and one of the recipe books that we have used throughout the years is one compiled by the Wisconsin Electric Power Company from 1965. One of our favorite cookies (ok, brownies) from this book is Frosted Marshmallow Brownies! They are so yummy! These have a fun marshmallow layer in between the brownie and the frosting! Recipe calls for nuts in the brownie layer and powdered coffee in the frosting, but both can be left out. Click on the picture to grab the recipe! Enjoy your December and Happy Baking! Kay- My husband will love these Kay! Thanks for linking up. Happy Holidays! Thanks for hosting the linky! It's a great idea for the holidays! Kay--those brownies look delicious!! I found your blog through Emily's cookie swap linky!! What a fun idea. Oh....and I am your newest follower! I look forward to reading your future posts! Have a great rest of the week! 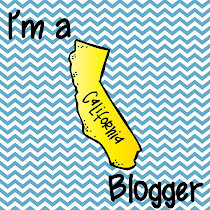 Who's Ready for a New Collaborative Blog? Time for a Classroom Reboot! Cyber Monday / Tuesday Sale at TpT!